No Frills - perfect for kids! 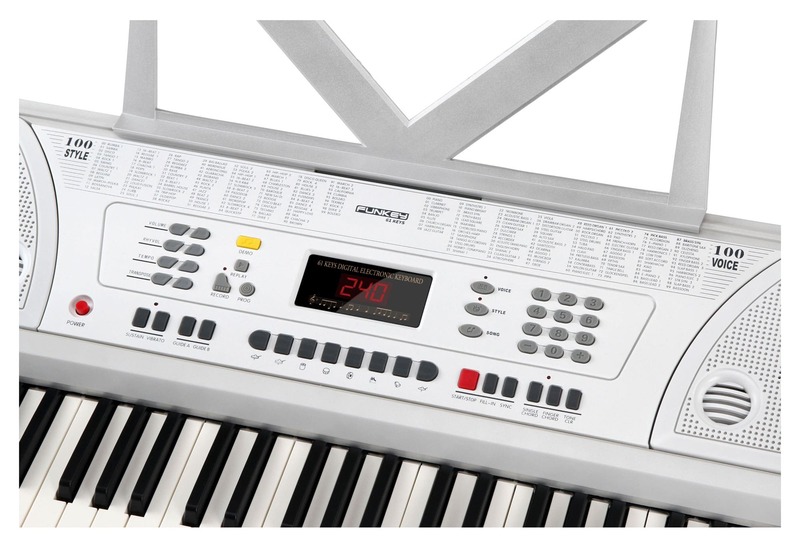 The FunKey 61 Beginner-Keyboard is the perfect entry into the world of music. Your children learn through playing with simple songs with accompaniment and rhythm and many different playing sounds. Promote the creativity of your children – making music is fun and exercises the brain! This white keyboard has an elegant, timeless design and will be a real eye-catcher in your child's bedroom. Playing keyboard was never so easy. 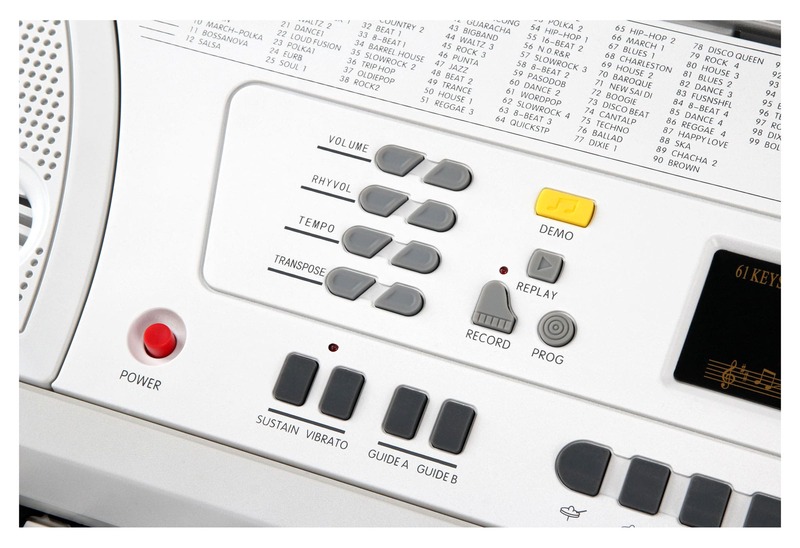 With 100 different sounds, 100 rhythms, and an accompaniment function quick learning is guaranteed. You can learn 8 demo songs note for note with the intelligent guide function. The FunKey 61 also has a record function that allows your child to record an entire song with accompaniment and play it back. 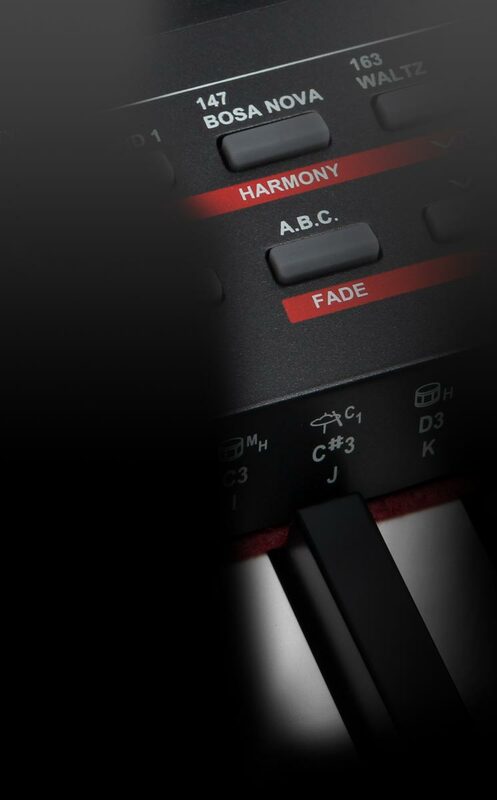 With the transpose button, pieces in hard key signatures can be made easier to play. You also have the ability to program your own rhythms. 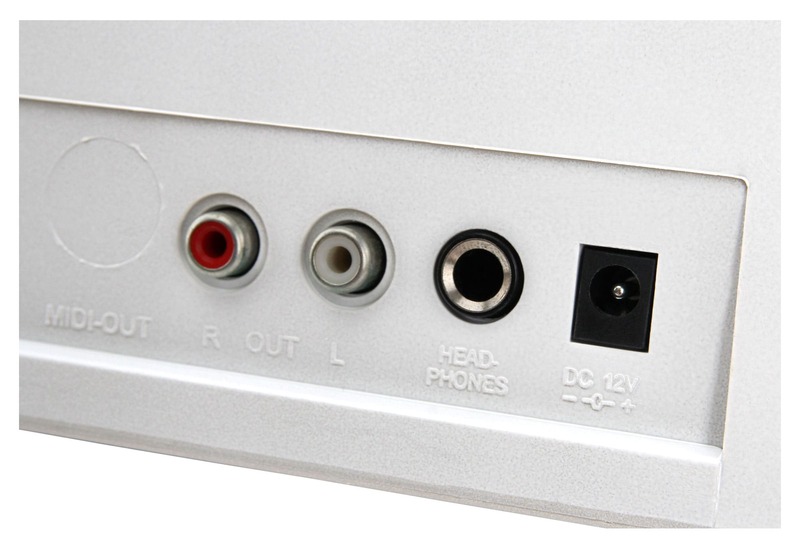 With the handy RCA output on the back, the FunKey 61 can easily be connected to stereo systems and if it is too loud, it can also be used with headphones. 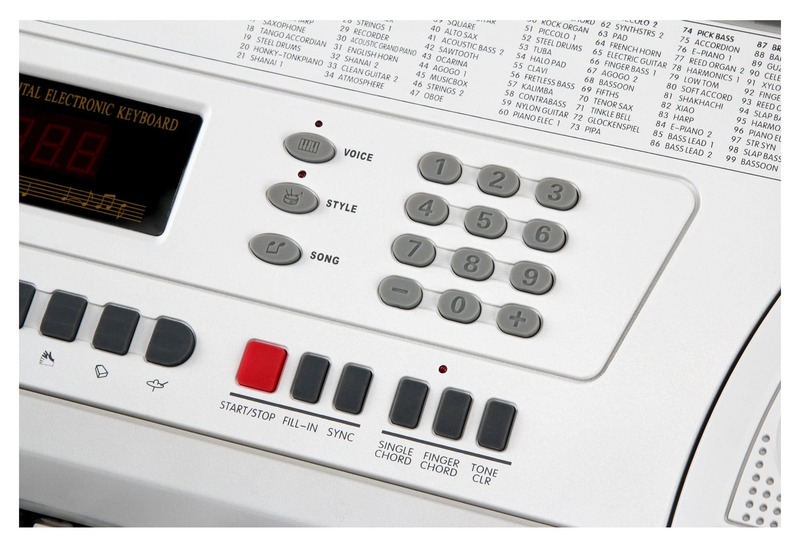 Unlike other keyboards in this price range, all the sounds are stereo sounds. The package includes a power adapter, a music stand and detailed operating instructions! 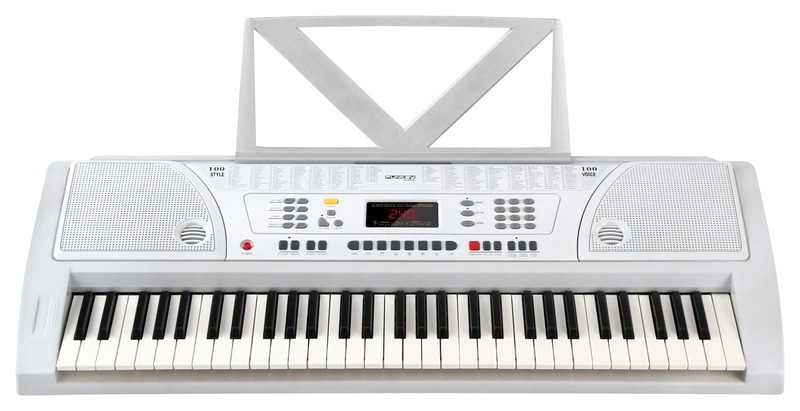 61-key keyboard with stereo sound, power supply and music stand at an absolute bargain price.